ZAPU has claimed that former Vice-President Emmerson Mnangagwa was hounded out of government and Zanu PF because he was ready to expose the ruling party’s shenanigans in the 1980s Gukurahundi massacres that claimed over 20 000 lives in Matabeleland and Midlands provinces. The remarks were made by Zapu’s economic development secretary, Mark Mbayiwa at a rally in Ntabazinduna, Umguza district over the weekend. Mnangagwa was expelled from both government and Zanu PF last week, prompting him to sneak out of the country into South Africa allegedly after threats on his life. Mbayiwa told supporters that President Robert Mugabe reportedly panicked at the beginning of this year when Mnangagwa, in an interview with a British newspaper, New Statesman, absolved himself of any culpability in the early 1980s Gukurahundi atrocities. 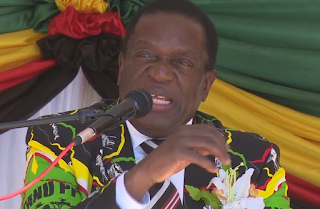 “Had he not indicated readiness to speak and co-operate on this contentious issue, Mnangagwa would still be cozy and comfortable in Zanu PF and government,” Mbayiwa said. Mbayiwa, who is Zapu parliamentary candidate for Umguza, urged constituents to dump Zanu PF and its incumbent legislator Obert Mpofu.